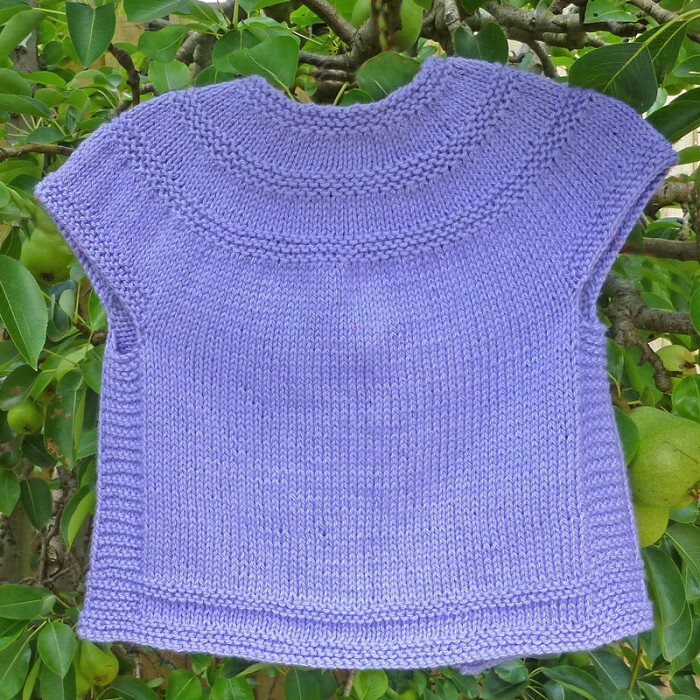 A pretty wild lavender short sleeved cardigan in cotton from Bendigo Woollen Mills. Fastened at the front with 3 heart-shaped mother-of-pearl buttons. Ideal for autumn days. Size: to fit 2-3 year old. Chest measurement: 60cm, length centre back to waist: 32 cm. 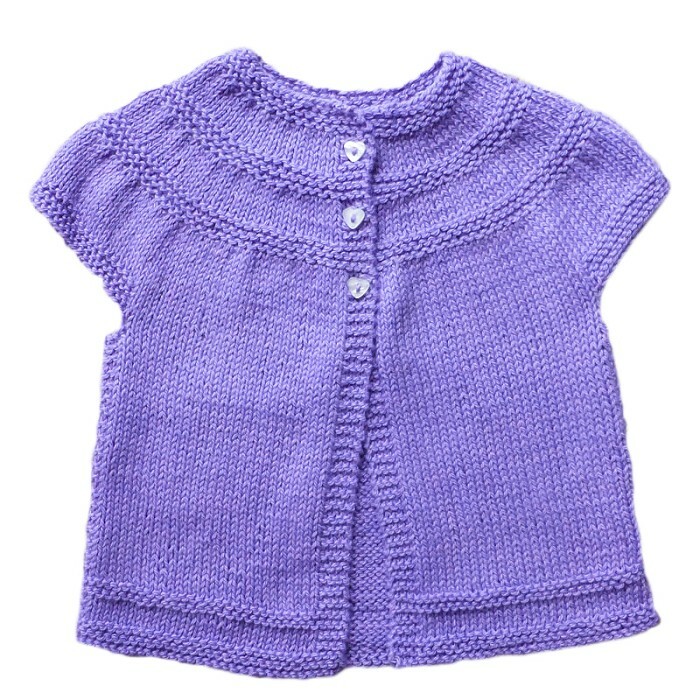 This cardigan, along with other styles in my store, can be ordered in any colour and size. Please email me with your requests. Thanks for visiting my store. Please browse again as I frequently add items.